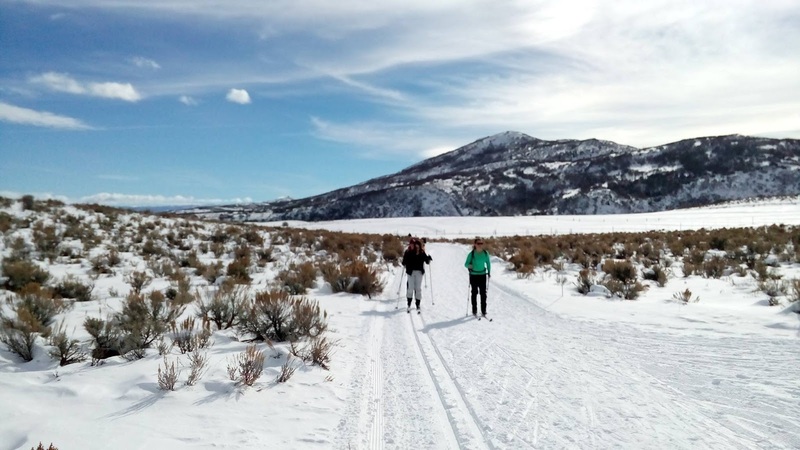 Just outside of Park City lies this nearly 700 acres of preserved open space covered in sage, scrub oak, mountain mahogany, and in summer, a variety of wildflowers. 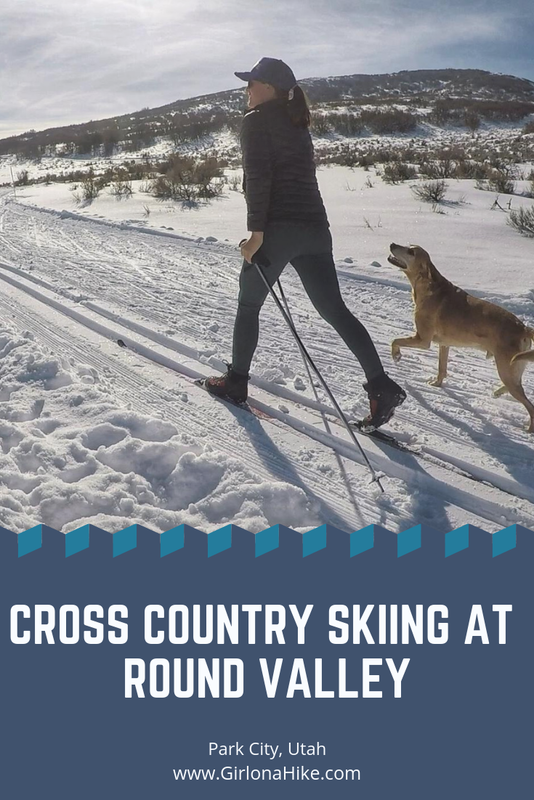 Round Valley is groomed and maintained by the Mountain Trails Foundation, and has 25K of winter trails. 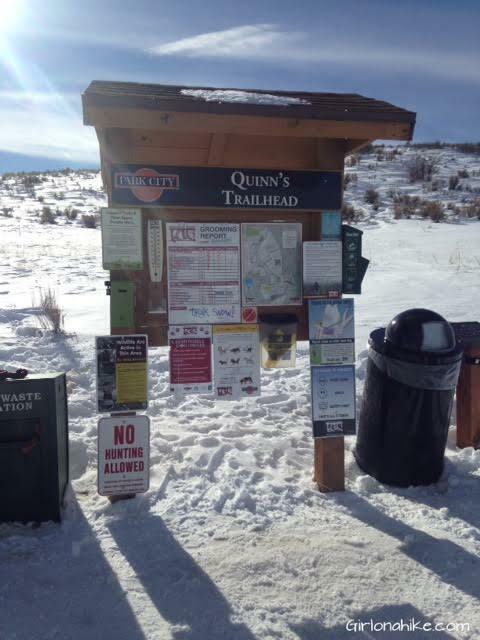 There are three main TH areas: Quinn's Junction, Highland, and the Round Valley Way TH. 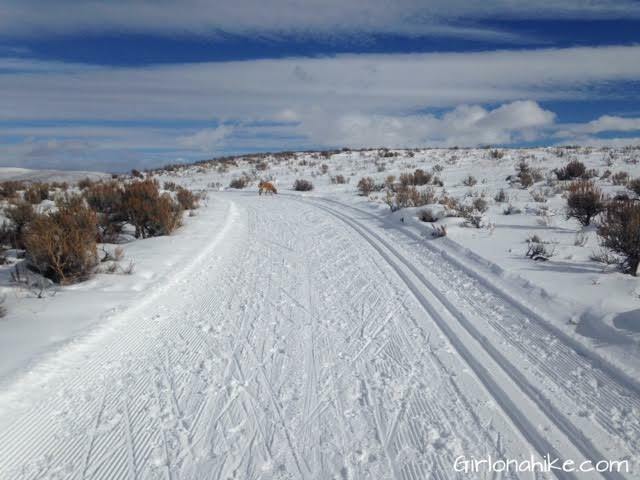 The grooming report is updated daily (depending on weather conditions), and can be checked on their Facebook page. 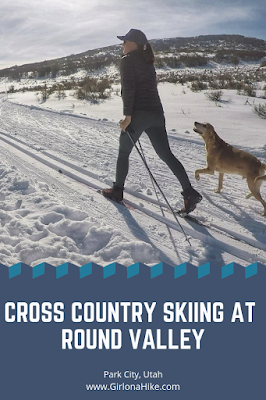 In addition to xc skiing, Round Valley offers designated trails just for Fat Biking and Snowshoeing. Here is a full trail map. 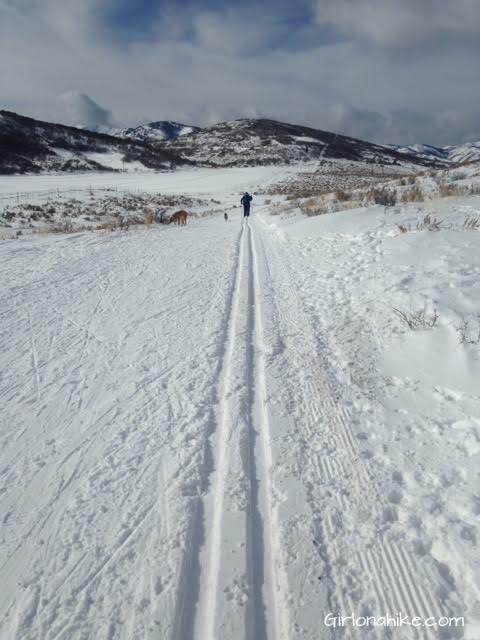 Directions: From SLC, head East on I-80 towards Park City. Take Hwy 40 south towards Heber, then take exit 4. Turn Right at the first light, then an immediate left. The TH parking will be on your right next to baseball fields and restrooms. Dog friendly? Yes! 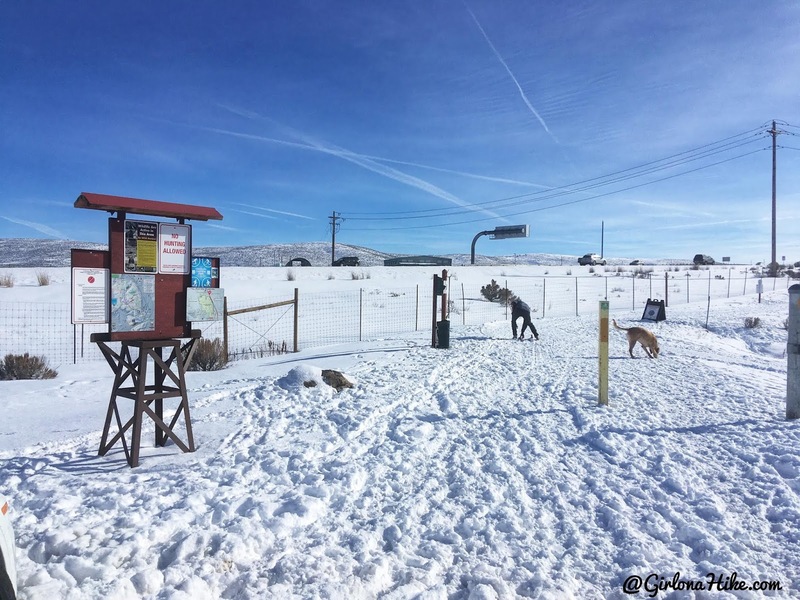 There are a few designated areas where dogs are not allowed, but 90% of the area is off leash. Obviously there are a lot of signs and notification at this TH. 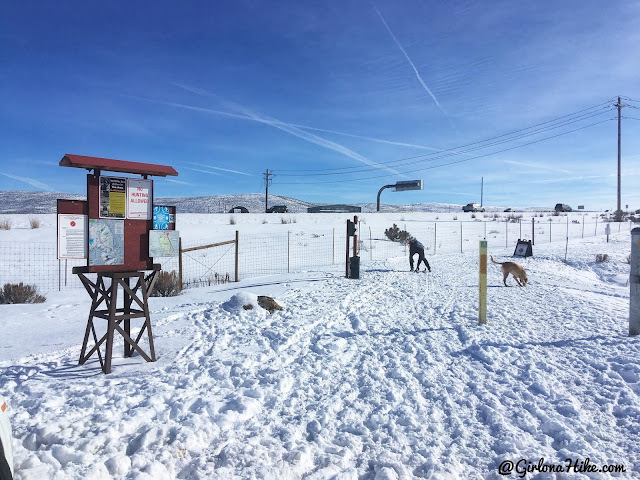 They post the grooming report, the trail map, information about The Yellow Dog Project, no hunting is allowed, local events, and they have doggie poop bags. We started skiing and the track was already pretty skied out by noon. I recommend you come earlier in the morning to ski freshly set tracks. 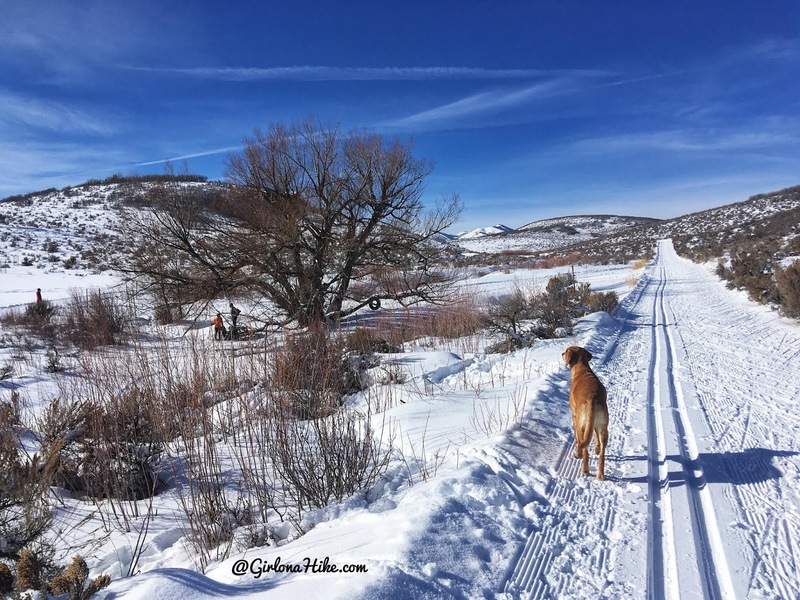 Charlie sniffs out the track ahead. Round Valley is so pretty! 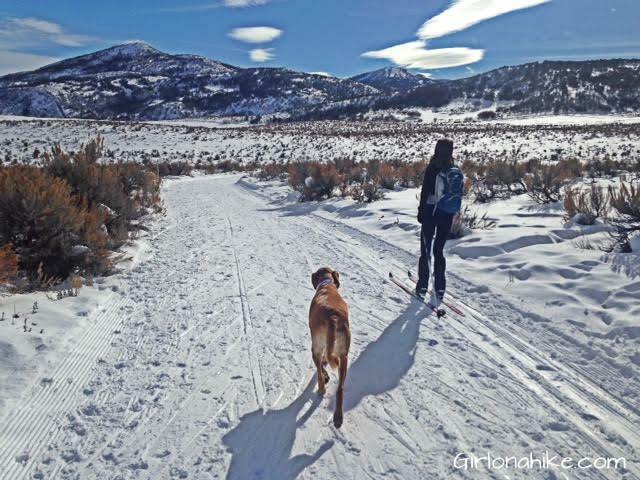 I love that Charlie can come skiing with me - he had such a good time running in the snow. Another beautiful section of the trail. 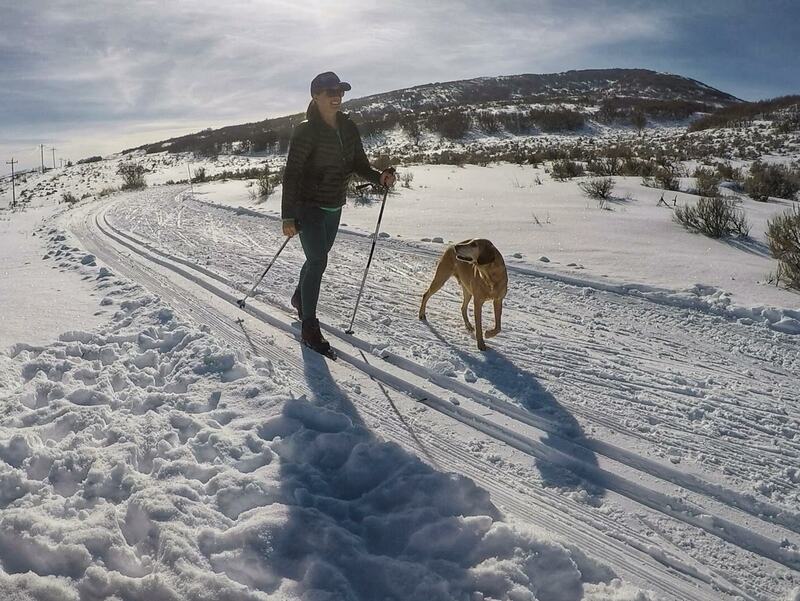 A friend and I enjoying our time skiing. Directions: Take I-80 East, then South on HWY 40. Take Exit 2, and turn right. Turn left on Highland and drive to the very end of the road, which turns into a dirt road for about the last 100 yards. 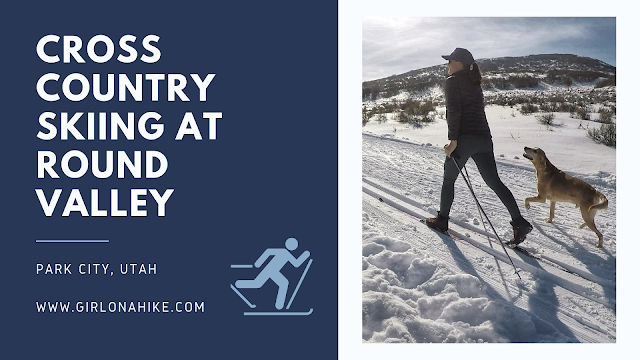 If you ski from Highland (Silver Quinn Trail) over to the connection to Ability Way Trail, its 2.75 miles one way. The most annoying part about the Silver Quinn trail is how loud the traffic is off HWY 40. 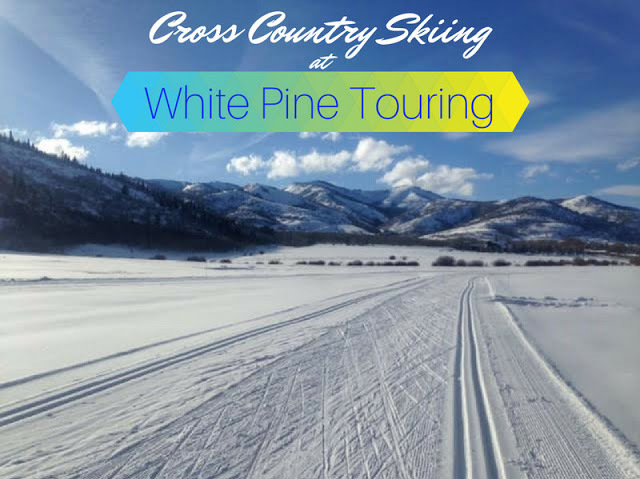 You'll also ski behind the Park City Hospital. You'll know you are at Ability Way when you reach the large cottonwood tree on the left side. 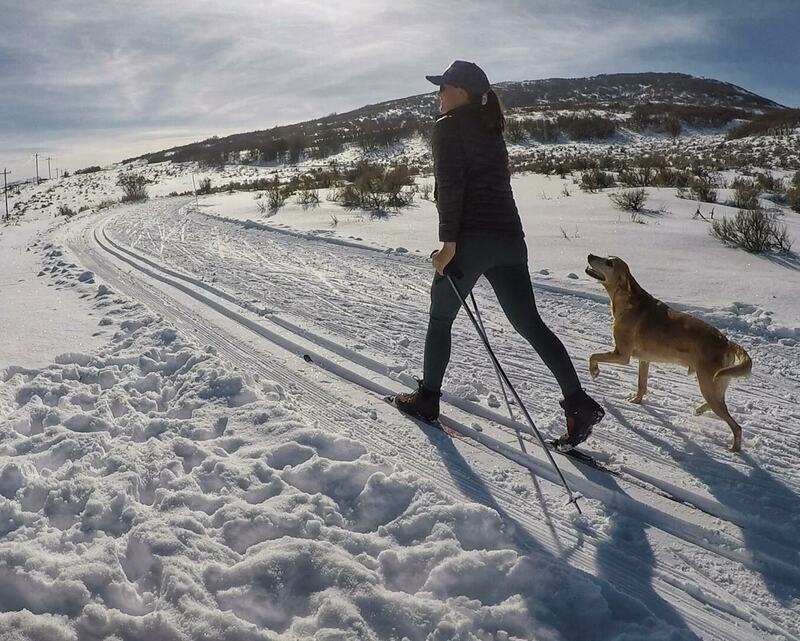 Ski back the same way you came, or turn it into a loop! I have hiked and biked here, but never skied! 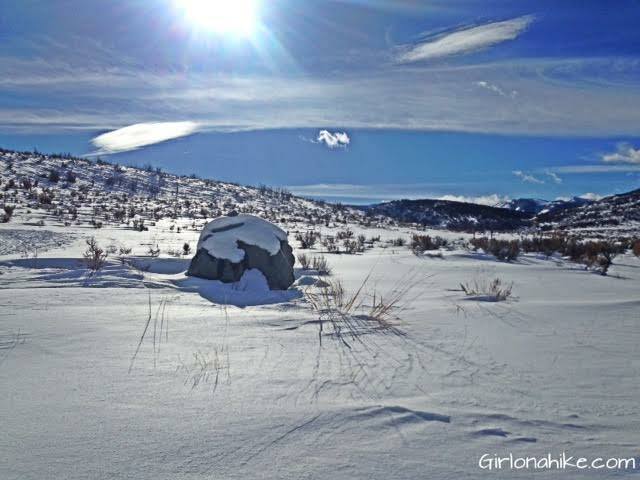 Heading here tomorrow to try XC skiing for the first time. (confession, I am totally bringing olives harness and my running waist belt to see if I can convince her to tow me around).